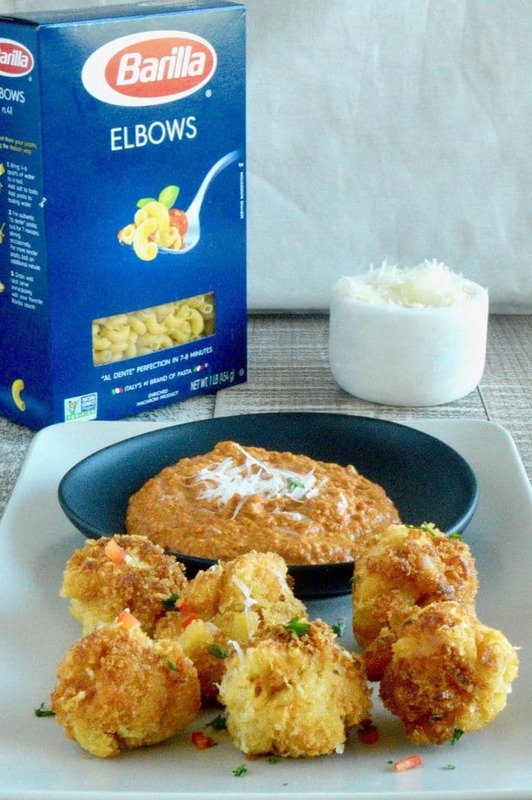 Elbow Pasta Balls With Romesco Sauce: Perfectly cooked Al Dente Pasta Balls in a smoky authentic Romesco sauce then fried into little bite sized balls for a flavorful appetizer for those times you need something a little different and special. 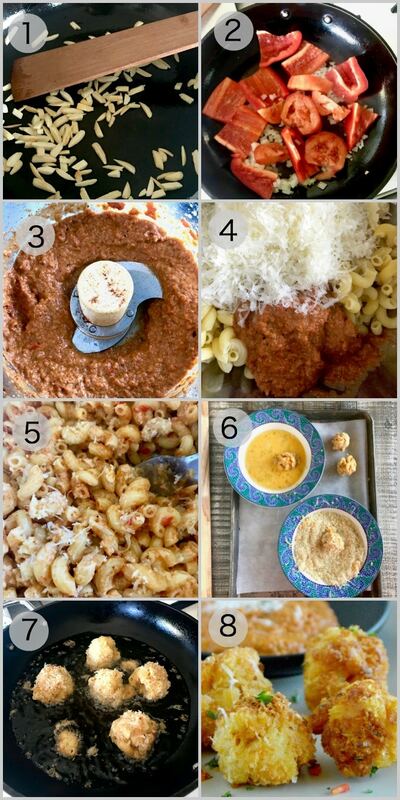 Today I’m sharing a recipe for Elbow Pasta Balls With Romesco Sauce. 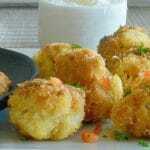 It’s a twist on a risotto ball, a fusion using Barilla Elbow Pasta instead of Risotto to fill the bite sized balls. I’d like to thank Barilla for sponsoring today’s post. I was happy to work with them as it is a product we use regularly in our home. All opinions are mine alone. 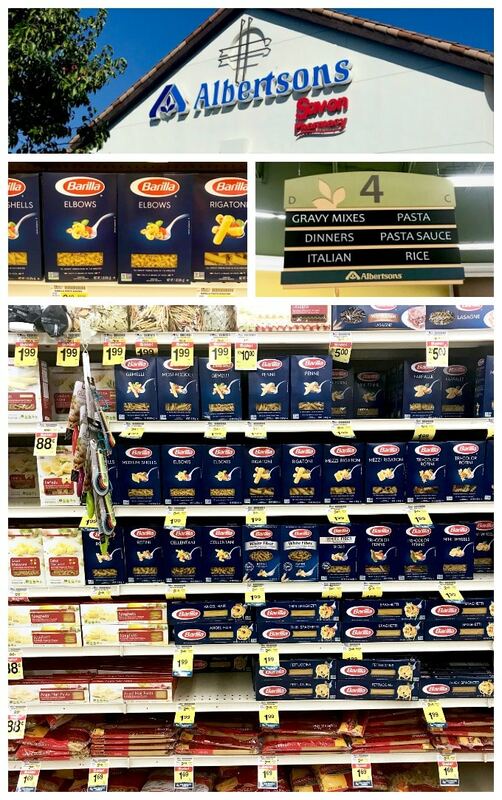 Barilla Pasta is a pasta we use often because it’s easy to find just what you need as they have a lot of variety: Gluten Free, Whole Grain, Protein Plus and many other options that fit all of the people that we end up having for dinner. (You can see all of their offerings for Pasta on their Product Page here!) The instructions on each box gives you the time to cook it so that its always al dente, always perfect. Romesco sauce is a sauce that uses almonds, a slice of bread and a mix of peppers and tomatoes. It’s a thicker sauce, but works well in this recipe for both a flavor boost in the pasta balls and as a dipping sauce for the finished pasta balls. Toasting the almonds gives you a deeper depth of flavor while also giving it a more rustic texture. Roasting or sauteing the peppers, tomatoes, garlic and onion make the sauce less raw tasting and soften the veggies for a more sauce like consistency. Chilling the pasta mixture helps the balls hold together better. Form the balls, then make a dipping station. First in egg mixture then a panko asiago cheese blend. I double coat the balls for extra crunchy texture on the outside. When you bite into these Elbow Pasta Balls with Romesco sauce you will taste a hint of the smoky romesco and tangy asiago cheese. Look at them? Don’t you want to go make them right now? If you head over to Barilla’s website, they are currently offering a spin to win prizes on their website. You can win free pasta, sauce, Visa Gift Cards and iTunes Gift cards. You can also go to here to get a coupon for their sauce and pasta. How cool is that? While you’re visiting their site you can see a lot of ways to serve up a flavor fusion for different ways to eat pasta that you may not have thought of before! Also be sure and check out their Pinterest and Facebook pages for other Flavor Infusion recipes! If you are looking for other special bite sized appetizers you can check out my posts for Gruyere Salami Risotto Balls and another option for using Barilla Pasta in this recipe for Pesto Pasta Cheese Croquettes! If you like entertaining and want lots of other ideas for entertaining your friends and family please follow me on Pinterest or on Facebook! The romesco sauce used in this recipe for Elbow Pasta Balls With Romesco Sauce is adapted from Joshua Bousel’s recipe on Serious Eats. Perfectly cooked Al Dente Pasta Balls in a smoky authentic Romesco sauce fried into little bite sized balls resulting in a flavorful appetizer for those times you need something a little different and special. Bring a pot of water to boil. While water is boiling, take the tomato and place an x with a knife at the end of the tomato. When the water is boiling carefully drop tomato into the boiling water and let it remain in there for 30-60 seconds. The place where the X is will start to pull away. Using a slotted spoon, remove tomato from the boiling water and allow to cool for for 3 minutes. Then peel the skin away from the tomato. Cut out the core, and cut into large chunks and set aside. Heat to medium high a small skillet and heat the almonds until lightly toasted and slightly browned. Once done, (about 1 minute) add nuts to a food processor. In the same small skillet, place 1 tablespoon olive oil. Swirl and cover the bottom. Add garlic, minced onion, tomato and red pepper. Cook for 10 minutes or until softened and juices have been released from the tomato. Once finished, place all into the food processor with the almonds. Toast bread, break into small pieces and place into the food processor. Add rest of olive oil, paprika, salt and vinegar to the food processor. Blend on high until all pureed. About 1 minute. 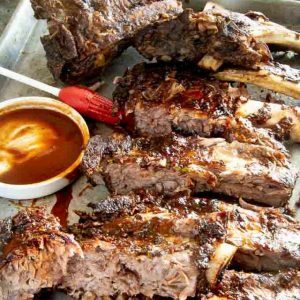 You can make the sauce ahead and place it into a container that you can seal. It will keep for 5 days. Cook pasta according to box instructions. Strain away water. Add 1/2 cup romesco sauce, all butter, 2 ounces freshly grated cheese, 1/2 cup of panko bread crumbs and 1 beaten egg to the pasta. Mix well. Place pasta mix in the fridge for 1 hour to set. In one bowl add the balance of panko bread crumbs and the balance of the freshly grated cheese and mix well. In the second bowl, beat the 3 remaining eggs. Once pasta is chilled, take a large handful and make into a ball. Dip first into egg wash then roll in the bread crumbs. Set on a plate when you have finished and proceed to the next ball. You will get about 36 balls. In a skillet, add olive oil and bring to medium high. You will know when the oil is ready to use by dropping one piece of pasta into the oil. If it starts to bubble immediately, it is ready. Add pasta balls slowly and cook about 2-3 minutes per side. Allow room between each ball for even cooking. Cook until all sides are golden brown and crunchy. Remove from the oil to drain on a paper towel. Cook in batches if necessary. Serve immediately along side romesco sauce for dipping. Note, cooking time does not account for chilling time of 60 minutes. This recipe uses freshly grated cheese. It has more moisture in it. If you want to buy it already grated, buy it in the deli section where someone actually grated it and not the powdery kind. It melts better and the powdery kind will not bind it together properly. These look like so much fun! And so delicious, too! We just had Barilla pasta last night – it’s so versatile and delicious! I absolutely LOVE these cheesy, golden brown little bites. And the romesco with *roasted* almonds?! I can’t wait to taste it! What a treat! I love Barilla pasta! These pasta balls look so good and that romesco sauce sounds amazing! 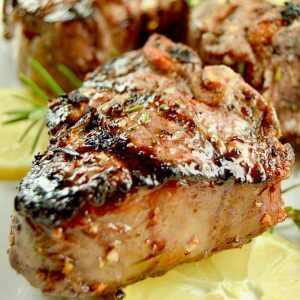 This looks like such an amazing recipe! I love anything pasta related, these would disappear so quickly at my house! Barilla is the only pasta I buy!! I am loving these!! 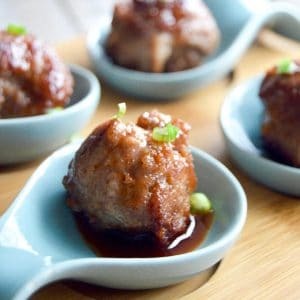 I am putting together my appetizer lists for the upcoming list of parties we have and these are going on it!! LOVE! These are amazing for a party, especially when all the party-goers love pasta! I love this idea for an appetizer! The cheese, the pasta, the romesco! This is a beautiful combination that I will bet tastes amazing! Love the step-by-step examples and all the helpful hints. These bites look just amazing! We are having a Halloween party this year and I have been trying to come up with some finger food ideas to have and this has absolutely made the list! I think you will love them for Halloween! Great idea! 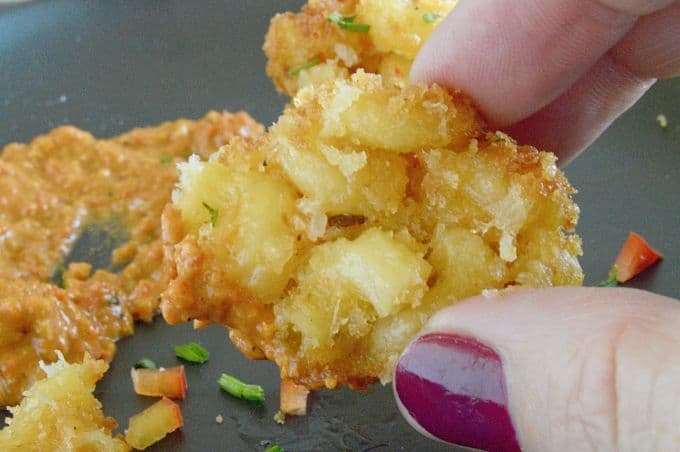 I could eat wayyyy too many of these yummy bites! I know my kids would love them, too! I could envision these as appetizers. 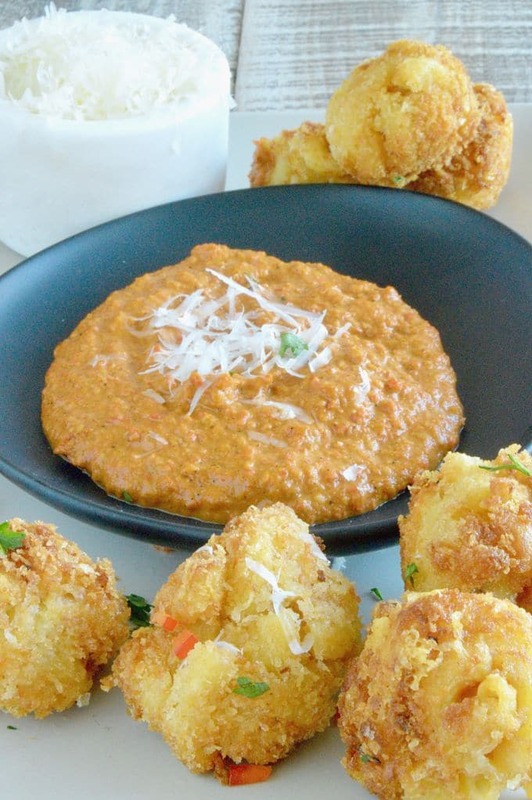 We love our romesco sauce and what an original way to make our little fried balls of goodness. I would say that those little balls don’t last long when you set them out. I almost always make a double batch for that reason! These look so good! I love everything about them. And Romesco sauce is such a yummy treat! Thanks for the coupons as well! I’ve only tried romesco sauce once at an Italian restaurant and it was so tasty. Definitely been wanting to try making it at home and it would be perfect with these cheesy pasta balls. Very creative! Ooooh, these look like a super fancy take on macaroni and cheese bites, with a serious upgrade on the asiago. Perfect party appetizer! I have never had romesco sauce but you have convinced me I need to try it. Def a great appetizer to add to my list. I love this recipe. It would make any guest feel adored! I’ve used Barilla my whole life. They have a great prouct at an afordable price! You had me at pasta balls — what a treat! And that romesco sauce looks mouthwatering – crispy outside and tender inside. This would be a great bite at a cocktail party – and we use Barilla all the time… Great pasta! They look absolutely delicious and crispy! I love the flavors of romesco sauce. 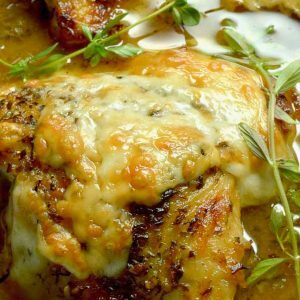 Such an easy and tasty sauce! This would be a hit at any party! Oh my goodness … these sound so good … eating alone would be a party … why share ?